For most people, summer is the hardest season to get through. It’s hot, you’re sweaty and tired all the time, and you have dreams of walking into air-conditioned malls and camping there till winter. Wondering how to survive the hot months ahead of you? Prepare for it. You know it’s going to be hot as a furnace and you know that you’re going to need to find ways to keep cool in the summer. One of the ways of doing this is by increasing your fluid intake to hydrate your body and help it to keep you cool. Downing a cold beverage is a state of heaven in the summers. Thankfully, there is a huge variety of drinks you can stock up the ingredients for so that when the heat wave hits, you’re ready to take it head on. 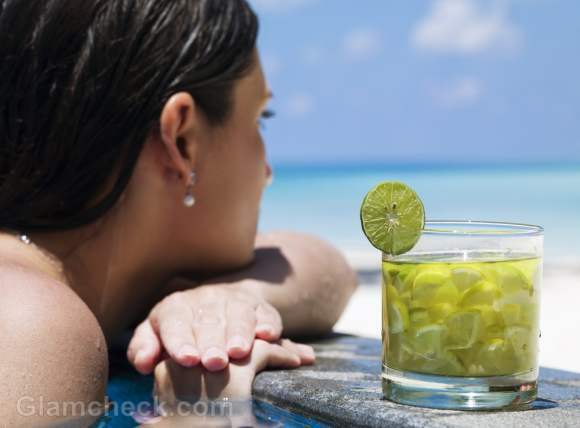 Considering that you’ll be needing a lot of summer drinks, you want to make sure that they are healthy while still tasty and up to the task of hydrating your body. We have a list of some summer drink ideas as well as some recipes to help you get started on them. Avoid sugary drinks. These just add calories and do nothing to quench your thirst or cool you down. In fact, all they really do is make you even more thirsty and creep on to your thighs. Now if you’re thinking of adding artificial sweeteners to stave off the calories, do so with caution. The long-term effects of artificial sweeteners is not yet known, but even the most progressive doctors will say to use it in moderation. It should not be a regular thing. Avoid sodas to quench your thirst. These are not healthy plus they are full of sugar and caffeine. What’s even scarier though is that a recent study has found a link between drinking just one cola a day on a regular basis and the increased risk of such horrible health conditions as chronic kidney disease, heart problems and diabetes. In fact, avoid pre-packaged beverages altogether. These have chemicals, preservatives and often added sugar which makes them more unhealthy than you can imagine. 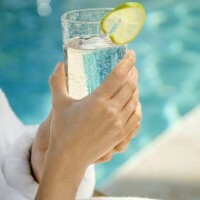 Avoid adding alcohol to your summer drinks as alcoholic beverages are notorious for dehydrating the body. This is the number one cool and healthy drink for summer. There’s nothing like a glass of cold water to cool you off and to rehydrate and rejuvenate your organs. What’s more, water has zero calories so you can drink as much of this refreshing beverage as you like without ever packing on the pounds. Just be careful that you filter the water that you drink as tap water may contain residues of several chemicals that are used to make it ‘safe’ for drinking. Also, do not store your water in plastic bottles or jugs as plastic is actually a very toxic substance and leeches right into the water. You eventually end up ingesting it. Use glass jars, jugs and bottles instead. Remember that plain water is best, but if it bores you there are now several variants of fizzy water and flavored water too. 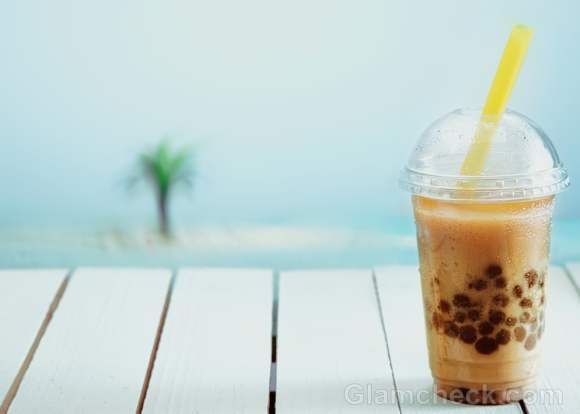 This is a classic drink for summer. It’s one of the most refreshing and the second healthiest drink for summer on this entire list. Lime contains electrolytes. Your body loses electrolytes when you sweat. Now energy drink companies are all about marketing how important electrolytes are, which is true, and how you need to replace the ones you lose, which is also true. However, you don’t need an expensive energy drink. All you need is a glass of fresh lemonade. It’s natural, free of chemicals and will cool you down better than a sugar-filled energy drink. Making lemonade is easy. All you need is lemons and water, ice if you want it to be cold and don’t have time to put it in the refrigerator, honey to sweeten and a bit of salt to taste. The amount of each that you will need will depend on how much you are making. 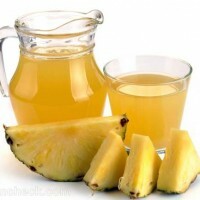 Usually, one lemon and a teaspoon of honey are needed for one standard-size glass so adjust accordingly. Cut lemons into halves and squeeze out the juice. Readymade or pre-packaged lemon juice usually does not taste as good so avoid it unless you’re really pressed for time or don’t have the patience. Add water, honey and salt and mix until all ingredients are dissolved. Give your lemonade an interesting twist by making it pink. Add raspberries, not strawberries, and blend into the lemonade. This will give the lemonade a tangy flavor and make it healthier as berries are bursting with minerals and antioxidants. Another interesting take on traditional lemonade is to add some fresh ginger to give it instant zing. How much you want to add will depend on how intense you want the flavor to be. 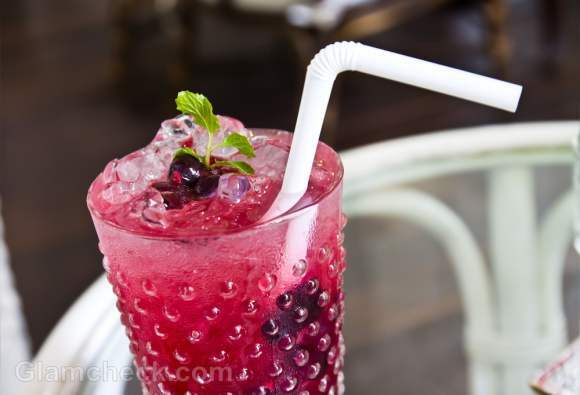 This cool, healthy and refreshing drink has long been a summer favorite around the world. 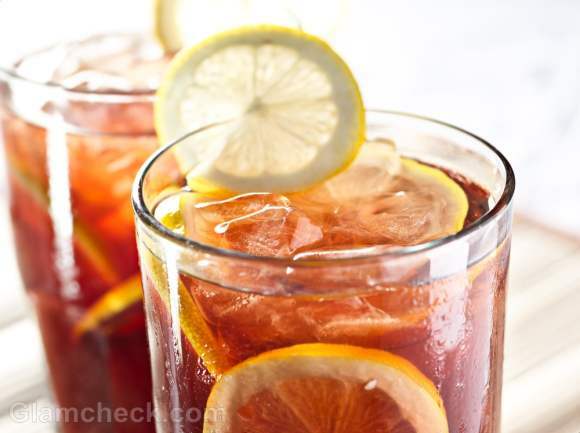 Iced tea is cooling, healthy because of its antioxidant content, and a fantastic pick-me-up because of the caffeine. This is also a simple drink to make and requires very little time and effort. Simply brew tea leaves in hot water and leave it to cool. By brewing the tea in hot water, the flavor of the tea really seeps in. But you can also brew the leaves or even tea bags in cold water. Add honey to taste, ice to cool, pour into a tall glass and enjoy. You can also add a sprig or two of fresh mint leaves for taste as well as the cooling properties of mint. Want a little more taste? Add a slice of lemon to the batch of cold tea. Yum! How about adding some flavor to your iced tea for variety’s sake? There are several flavored teas on the market now from berries and mango to cinnamon, chamomile and jasmine. Want to make your iced tea even healthier? Go green. Green tea is known to be very high in antioxidants. It is also widely touted as a fat burner since it raises metabolism. Other benefits of green tea include its cancer and tumor prevention properties as well as its innate ability to improve your immunity. You get green tea in several flavors now so you don’t have to be stuck for choice if you do not like the natural flavor of green tea. You can also add your own flavors at home. Here’s a simple recipe for a peachy green tea. You’ll need 6 to 7 bags of green tea, 2 peaches, de-seeded and sliced, and finally two cups of water. Begin by putting the peaches and cold water in a pan and bringing to a boil. Now pour this concoction into a tea pot holding the tea bags. Leave it alone for about ten minutes to allow the flavors to seep through well. Once it has cooled a bit, add a sweetener if you wish and put it in the fridge. When serving, put a sliced peach in the glass and garnish with mint. Remember to always thoroughly chill your iced tea for best results. You gotta have your morning cuppa java anyway. 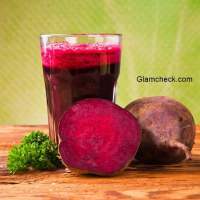 So why not make it one of your cool and healthy drinks for summer too? Simply brew your coffee in the evening and put it in the fridge when it cools down. The next morning, you have ready-to-drink iced coffee. Or just brew instant coffee in chilled water. Now your iced coffee is not going to be a healthy drink if you make it like the coffee shops do with gobs of cream and milk and whatnot. You’ll be putting on weight in no time if this becomes a habit. The idea is to get the benefits of coffee without the extra calories. Have your iced coffee black. If you can’t stand the flavor, add a couple of teaspoons of milk and a teaspoon of sugar. It’ll taste good and you’ll be ingesting the minimum umber of calories possible. To make your coffee even more healthy, use decaf. Want a yummier but just as healthy take on iced coffee? Try a raspberry mocha. It sounds like heaven. It is. Add half a cup of skimmed or soya milk to a cup of regular cooled black coffee. Also add 2/4 teaspoon of raspberry extract, 2 tablespoons of sugar-free chocolate syrup and a cup of crushed ice for instant cooling. Blend all ingredients until the consistency is slushy. No, we’re not being contradictory. Colas and sugary sodas are bad for you and we’re not going back on that statement. Fruit sodas, on the other hand, make yummy and satisfying summer drinks. Don’t go for packaged fruits sodas though as these contain sugar and preservatives to allow it to sit on the shelf for months. These are not good for you at all and those chemicals are not easily excreted from the body. Instead, make your own fruit soda at home. You’ll need a fruit juice of your choice with no added sugar and unflavored soda/carbonated water. Pour half a glass of juice into a glass and fill the other half with soda. Add ice if you want it cold or just make sure that the juice and soda are cold beforehand to save you time. Take full advantage of the abundance of fruits available in the summer to make yourself a whole bunch of cool and healthy drinks for summer. Smoothies are basically a combination of fruits, and sometimes vegetables, pureed together to get a yummy, slushy drink which combines the burst of flavors of each individual fruit and vegetable into one, creating a mind-blowing experience for your taste buds. There are few drinks more luxurious than cold smoothies in the summer. Here are a few simple recipes to get your started and to inspire you to create your own unique concoctions. The first one is a watermelon smoothie with a hint of mint. 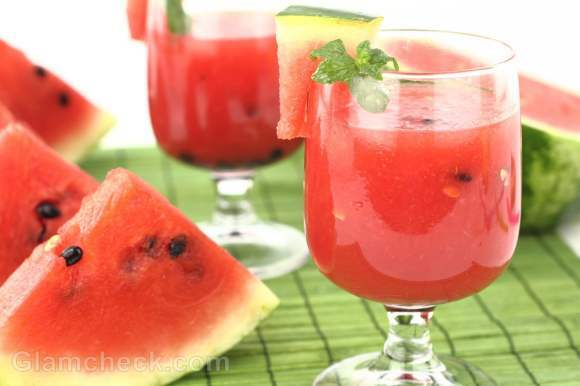 First, get together 2 cups of watermelon chunks, preferably de-seeded, 1 tablespoon of whole fresh mint leaves, about a tablespoon of honey and 1 cup of low-fat lemon-flavored yogurt. Now blend only the mint, honey and watermelon together, but not too much or it will get too watery. Then add the yogurt and blend for a few seconds on a low pulse setting. Pour into a tall glass and enjoy. Our next delectable smoothie suggestion is a combination of bananas and berries, among other things. 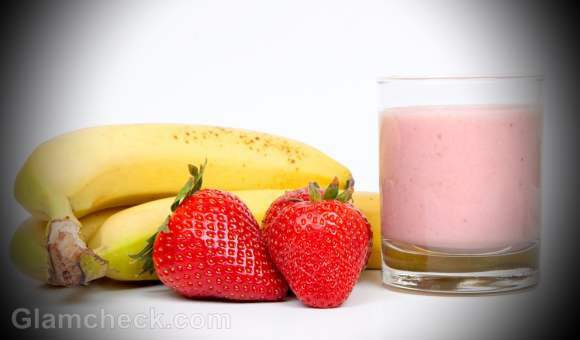 You’ll need 1 banana, half a cup of washed and chopped strawberries, one-fourth cup of yoghurt and three-fourth cup of low-fat milk (you can use soy milk if you want a healthier option). You can add crushed ice if the milk and yogurt are not cold. Blend all ingredients into desired consistency. Finally, we bring you a smoothie from the tropics. After all, that’s where the maximum heat is so that’s where you’ll find the best summer cooling drinks. 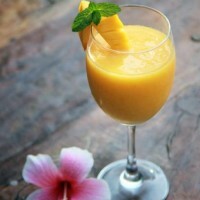 For this rich but healthy smoothie, you’ll need some crushed ice, 1 cup of fresh pineapple chunks, 1 cup of chopped mangoes, and about 2 cups of mango juice. Can’t you tell already that this one’s going to be brilliant? Simply blend all ingredients together, if you haven’t devoured them in your preparations, and enjoy the resulting smoothie. Remember that smoothies are always best enjoyed cold. 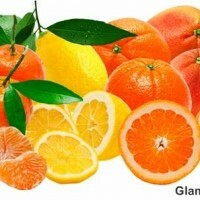 You’ll also get better results if you use fresh fruits instead of the canned variety. Canned fruits stay in the can so long because of the ludicrously high-sugar content in the sugar syrup that it is stored in. There’s nothing healthy about them. Fresh fruits give you the advantage of better taste and better nutrition – something both your tongue and your body will thank you for. 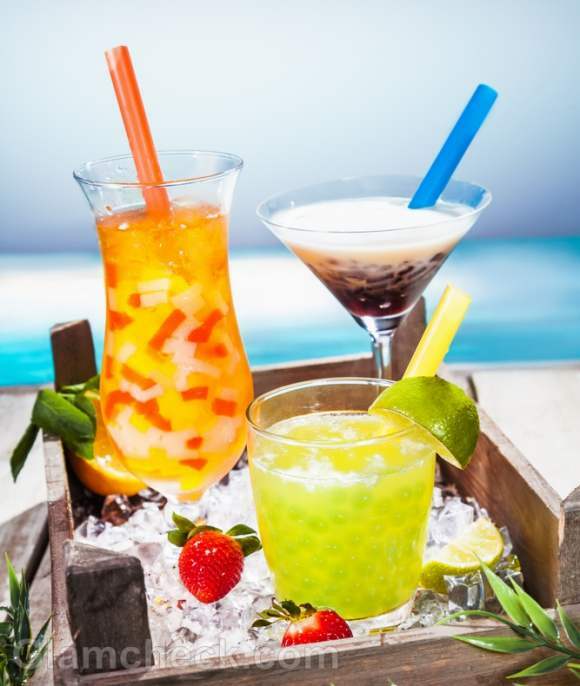 If you know of any healthy and tasty summer drinks, do not hesitate to post it in the comments. We hope the recipes we’ve included here will encourage you to shift to healthier beverages during the summer and perhaps inspire you to come up with some of your own based on your local ingredients. Cheers!